Last year i have prepared the Santa Bread that inspired me to create something in bread which perfectly suits the Christmas theme. Last year i have saved a Christmas tree recipe with green colour resembles almost like the tree. 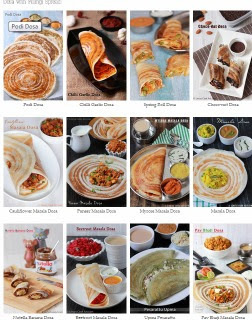 I search the recipe and could not able to find that recipe. 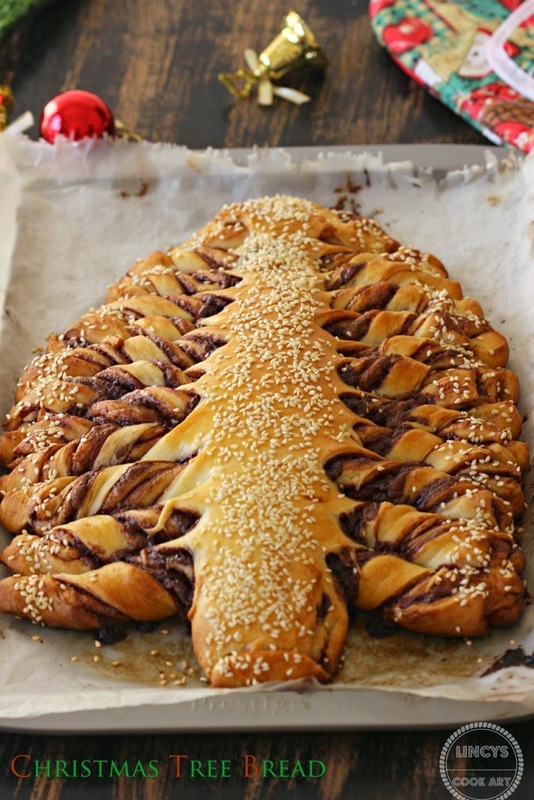 So i browsed some other Christmas tree recipe and find the picture here to make this bread and used my general bread recipe to make this yummy Braided Nutella Bread. It is quite easy to make bread apart from the long fermentation time. I love baking bread in home especially at Christmas season. In a glass take the warm milk and add the sugar, salt and yeast. Mix well and allow to ferment for about 10 minutes or the frothy layer appears on top. In a broad bowl add the all purpose flour, an egg (optional) and add the yeast milk mixture. Knead well with hand to make a slightly sticky dough, if the dough is dry sprinkle little milk and knead well to form a dough. Now add the softened room temperature butter and knead well to incorporate well. Transfer the dough to a flat clean surface and knead well for 10 minutes until it forms a soft, non sticky, pliable dough. Punch the doubled dough after 1-2 hour and knead well to form a ball. Divide this dough in to equal 4 balls. Roll each ball into thin triangle sheets using rolling pin and stretching by hand. If you feel difficult roll them into rectangular sheets and cut the edges to make it into triangle shape later. In a baking sheet spread with butter/ wax paper and transfer the first layer rolled dough and brush lightly with melted butter then apply the Nutella/ chocolate/ Cinnamon spread. Keep another rolled dough and brush with butter and apply the spread. Again repeat this for third layer and just cover the third layer with fourth layer. Using a pizza cutter cut the edges into 'A' shape if needed to give a triangle tree top. For branches cut the dough into thin strips. Remove the last strip to form the base of the tree. Roll each strip in same direction and brush the top layer with beaten egg yolk or butter. Sprinkle the centre and the edges of the bread with sesame seeds. Preheat the oven to 180 degrees and bake this bread until golden. Transfer the bread on a wire rack and allow to cool. nicely done bread, you still have it so please parcel it. Really awesome work lincy. You are rocking dear; one parcel to my home! Hi Lincy.... so creative! looks yummy too! awesome braided bread, looks very nice..